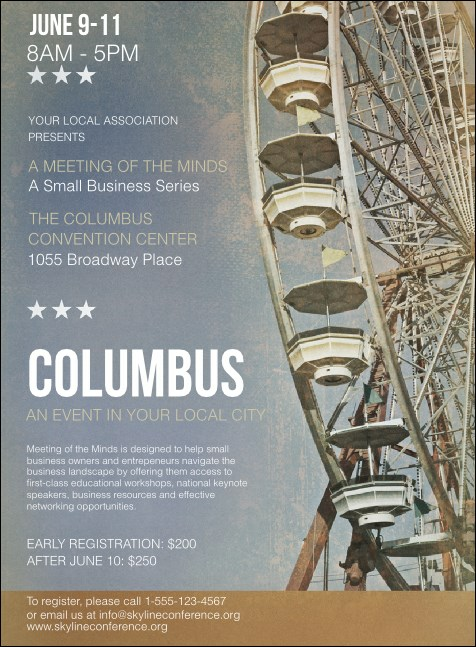 Make a big impression in the Biggest Small Town in America when you print Columbus Invitations and send them out to your Central Ohio guest list in advance. Each Invitation features a shot of the State Fair’s Ferris wheel with a tan stripe across the bottom and twenty-two lines of custom text. TicketPrinting.com helps you discover success in Discovery City.